FTC disclaimer: I received a copy of this book in exchange for a fair and honest review. All opinions are my own. This post contains affiliate links. This book made me discover something: I'm Amish. Or at least many of my shopping habits are! 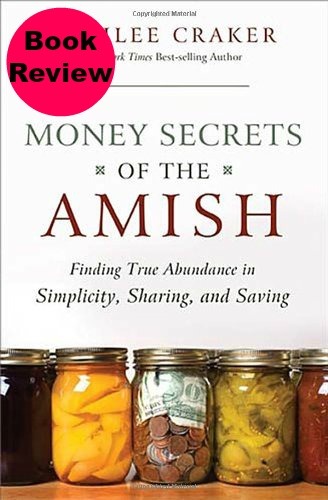 In Money Secrets of the Amish: Finding True Abundance in Simplicity, Sharing, and Saving , Lorilee Cracker examines why even during economic downturns the Amish still are thriving financially. most of it. 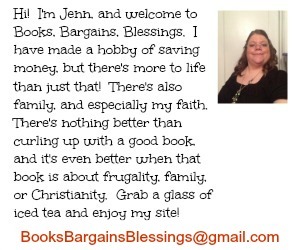 She talks about bartering, paying off debt, not getting into debt using credit cards, buying in bulk, buying second hand, not spoiling children, waiting until you have the money for big purchases, and the like. For someone who is already good at managing your money, there are no real savings hints here. I did enjoy the stories about the Amish, such as the game night around the Trivial Pursuit game purchased second hand. (Instead of the Arts and Entertainment category, they replaced that with Bible trivia!) Also the story of the lady baking over a dozen pies was neat. I totally had to agree with her on "Rethinking Gifts". So many times people buy to just buy and don't consider the other person when buying. There are times that something second hand or a gift of time would be so much more appreciated than a new sweater. Would I recommend this book? It depends on the person. If they are already frugal, I'd say skip it. If they are interested in the Amish, definitely. If they need to rethinking their spending habits, yes.